Thank you to all who donated prizes, sold tickets, and purchased tickets!!! 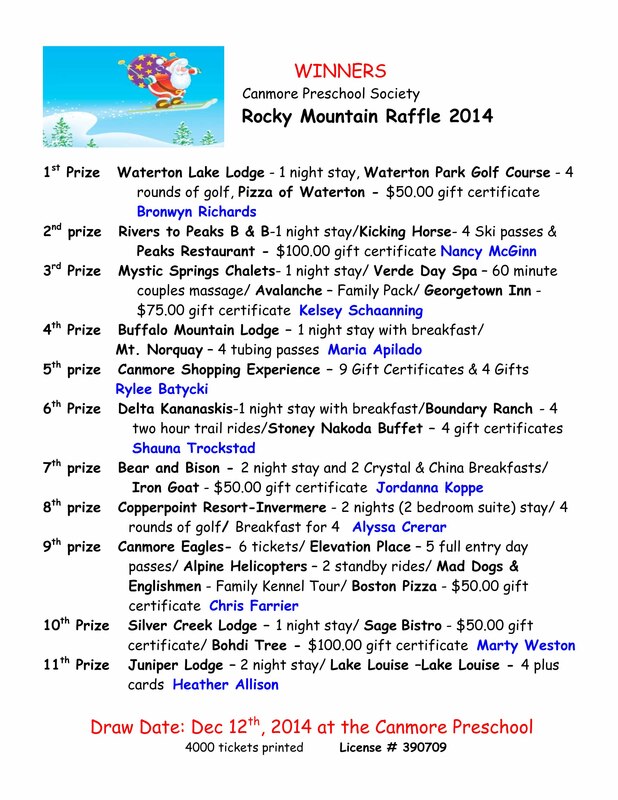 The 2014 raffle had 11 prizes totaling over $9000 to be won. Our community and many of our preschool parents have made generous donations to make our raffle a success, and we extend our sincere gratitude to all who have contributed. Tickets were $2.50 each.